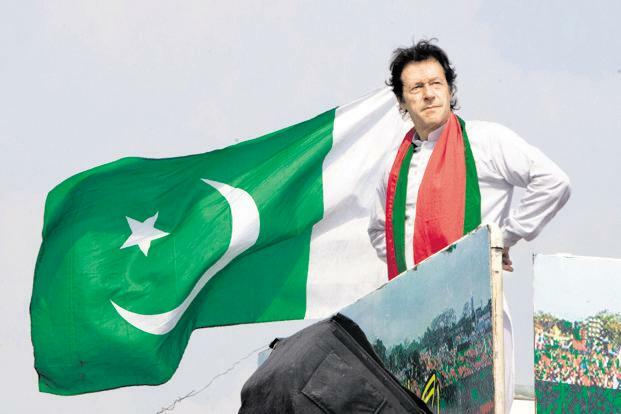 Pakistan Tehrik-e Insaf leader Imran Khan’s victory in the Pakistani elections has been described as tainted, violence ridden and brought about with the active connivance of the Pakistani army. But as he settled into putting together a coalition government, Imran Khan has attempted to present a reasonable and positive persona in his initial remarks after the election. The former dashing cricketer campaigned for change and his anti-corruption campaign caught the imagination of different sections of Pakistani society that were looking for relief from the tired old political parties riddled with corruption charges. As the dust over the elections subside, there are expectations in Pakistan that some of the promises of ‘naya Pakistan’ would be visible soon. Foreign policy and strategic relations will remain the purview of the Pakistani military under the new government. As head of a coalition government Khan is unlikely to make any significant moves to break out of the control of the Army headquarters. But he may be provided some leeway to take cosmetic steps to give a display of Pakistan’s democratic credentials. Relations between the civilian leadership and the army generals are likely to be free of the tensions that led to the periodic political instability during the previous Nawaz Sharif government. The two main political parties of long standing, Pakistan Muslim League (Nawaz) and Pakistan’s People’s Party (PPP) have been knocked down in the July 25 elections but have not been completely wiped out. The jihadi outfits that contested the elections in large numbers came a cropper. Neither the new government nor the Pakistani army would have wanted to deal with the extremist leaders after they gained importance through their presence in the National Assembly. Imran Khan has been critical of the China-Pakistan Economic Corridor – the game-changing development programme signed during former Prime Minister Nawaz Sharif’s tenure. At the same time, Islamabad is also placed on the grey list of the Financial Action Task Force, which was set up to combat money-laundering and terror financing. But in his first post-election interaction, Khan spoke highly of Pakistan-China relations and stressed that his government would further advance its cooperation with China. Khan’s immediate challenge would be in dealing with Pakistan’s looming financial crisis which has forced several devaluations of the Pakistani currency. He would have to turn to traditional friends like Saudi Arabia and China for help to tackle a balance of payments crisis before seeking a bailout from the International Monetary Fund. Washington has already voiced concerns over a possible IMF bailout that would mainly go to servicing Pakistan’s loans from China for the major development projects. The US has been critical of China’s high cost investment projects in emerging economies that are difficult to repay. The situation with Afghanistan is seeing some changes as American diplomats made contact with Taliban representatives in Doha last month. Dubbed ‘Taliban’ Khan for his support to the Taliban, Pakistan will have a greater role to play under a government headed by Imran Khan if peace talks are to begin with the Taliban. He has spoken of using Pakistan’s influence to bring the Taliban leaders to the negotiating table. Afghanistan President Ashraf Ghani was among the first foreign leaders to congratulate Khan and invite him to Kabul. Washington may have to rework the troubled relations with Islamabad to get the talks going. In his post-election speech, Khan spoke of building ties with China, Afghanistan, the US, Iran, and also offered a dialogue to India. “If India’s leadership is ready, we are ready to improve ties with India. If you take one step forward, we will take two steps forward,” he said. The initial Indian reaction to the elections in Pakistan was guarded till Prime Minister Narendra Modi spoke to the PTI leader on the phone to congratulate him. Khan made the first overture, and Modi responded, leading to much speculation about the possible course of India-Pakistan relations in the near future. But, it is the Pakistani army that is the main driver of Islamabad’s India policy. The current frost in ties may ease but better ties will require both a change of stance and much more effort.